This will only work from inside the Libraries. Images are among the last things that will be added. Most of what you'll see clicking around the site are just convenient placeholders. Comments can be made right here on the blog or sent to your favorite WMC/WADS member. 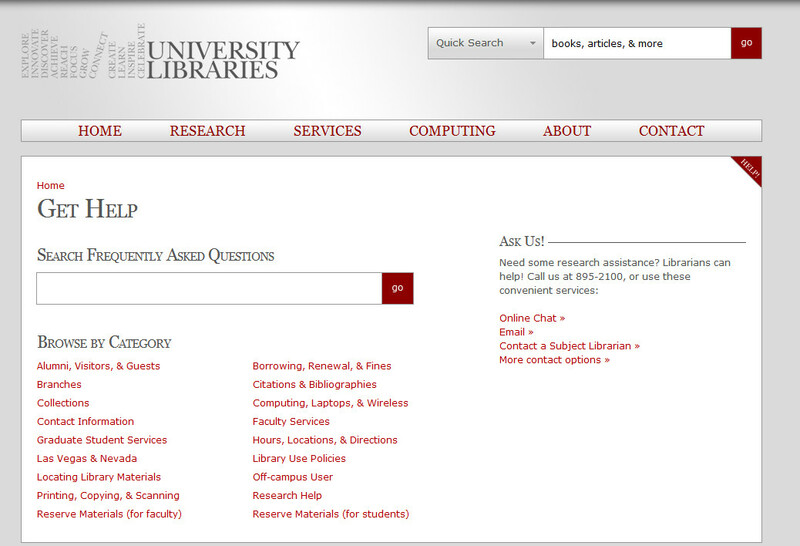 The frequently asked questions page is now available for review. Please take a look and bring your comments and questions to the FAQ meeting tomorrow (3pm Amargosa). Of course, you can post your comments here on this blog as well. Disclaimer: This page is still in development so some of the bells and whistles are not working properly or have yet to be implemented. For example, the "no results" message does not display when there is no match in the search result.